This recipe for chicken livers is simple, quick with minimal ingredients. The liver is considered as the most powerful super food. While considering chicken liver nutrition, chicken liver supplies many essential vitamins and minerals which is very much required for our body.Though the cholesterol content in chicken livers is quite high, it does contain several other important nutrients which is much essential. Here am with a delicious chicken dish made with chicken liver. 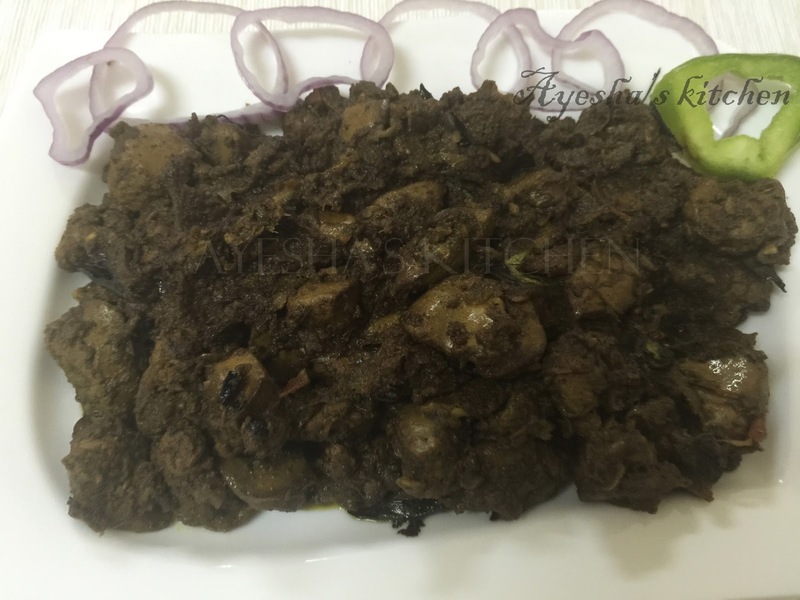 You can also use mutton liver or beef liver for the same recipe. This pepper fried chicken livers recipe taste best when accompanied with dosa (Indian pancake ). 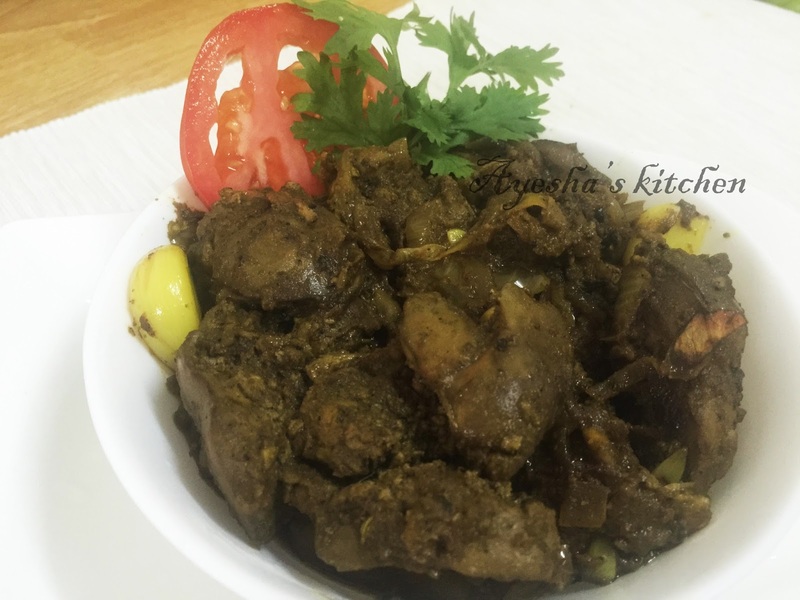 Hope you all give this chicken liver recipe a try. Heat coconut oil in a non-stick vessel, when hot add cinnamon stick, cardamom, bay leaves and saute for a while. Then add crushed ginger garlic to it. Saute it over a medium flame and then add green chilies and perum jeerakam powder (fennel seed powder) to it. Mix well. Now add sliced onion and saute till golden. Transfer this onion mixture to a plate. Set aside. Now to the same vessel, add the cleaned drained chicken liver (add oil if required). Saute for 30 seconds. Now put turmeric powder, coriander powder, chilly powder, pepper powder, cumin seed powder, garam masala powder and salt. Mix well and close the lid. Let it cook for 3 minutes. Then add the prepared onion mixture to it. Combine very well. Cook on a medium flame for few minutes and later over a high flame until chicken liver turns dry and done. (Add water only if the gravy is too dry). Stir occasionally. When done, add vinegar or lemon juice. Toss very well and switch off the flame. Serve hot with rice, chappathi or dosa.